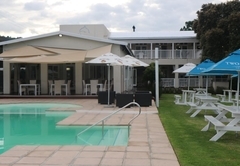 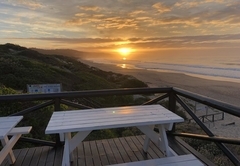 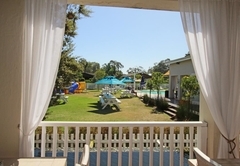 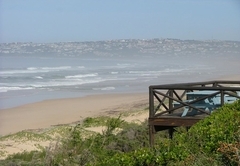 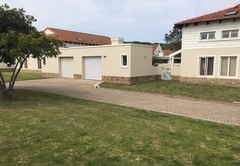 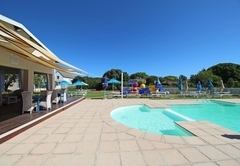 The Dunes 80 is a property providing self catering in Keurboomstrand for up to 6 guests visiting the Garden Route region. 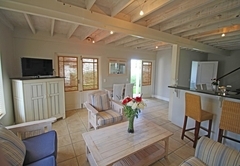 The Dunes 80 is a privately owned duplex in the well known Dunes Resort. 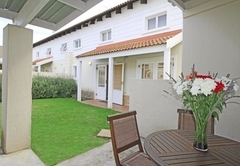 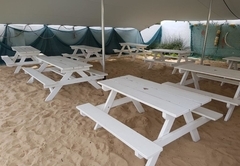 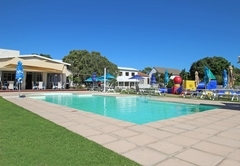 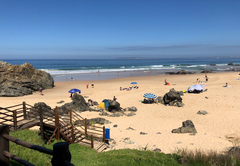 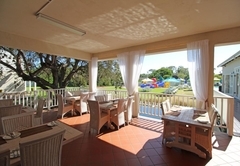 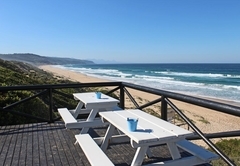 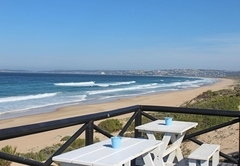 This popular spot accommodation in Plettenberg Bay is just a short walk through the dune forest to the beach. 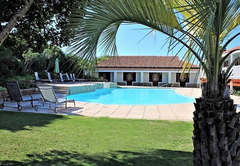 During your stay you can enjoy a variety of activities and the resort itself has two swimming pools, a restaurant, bar and games room. 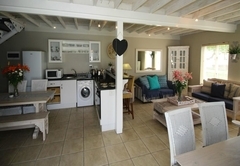 The house sleeps five adults and one child under 12 years of age in two bedrooms. 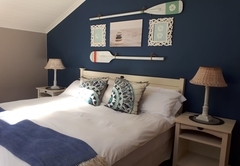 The main bedroom has a King-size bed and the second bedroom has a Queen-size bed and a single bed. 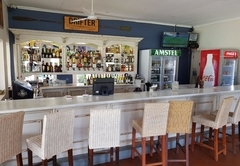 There is also a sleeper couch in the lounge for a child under 12 years of age. 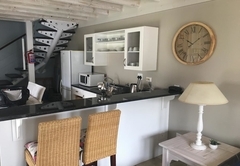 There are two bathrooms, one is upstairs and has a bath and the downstairs bathroom has a shower. 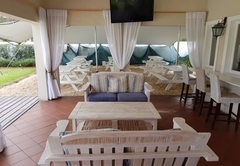 The lounge has comfy seating and a TV with DStv. 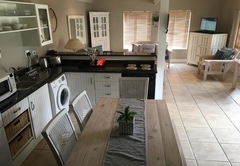 There is a fully equipped kitchen with a oven, stove, microwave, fridge / freezer, crockery and cutlery. 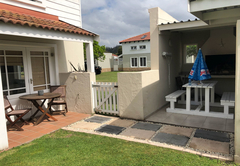 There is a garden and a private undercover patio area with a braai. 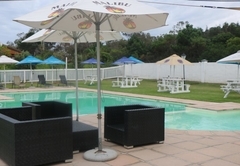 Secure parking is provided to our guests. 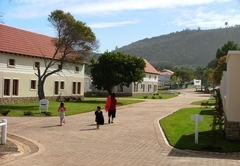 The house sleeps five adults and one child under 12 years of age in two bedrooms. 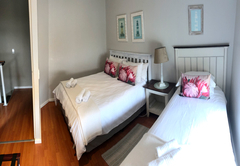 The main bedroom has a King-size bed and the second bedroom has a Queen-size bed and a single bed. 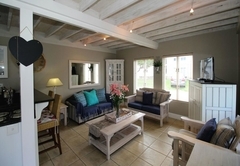 There is also a sleeper couch in the lounge for a child under 12 years of age. 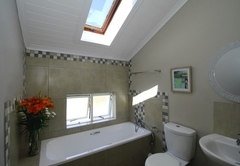 There are two bathrooms, one is upstairs and has a bath and the downstairs bathroom has a shower.